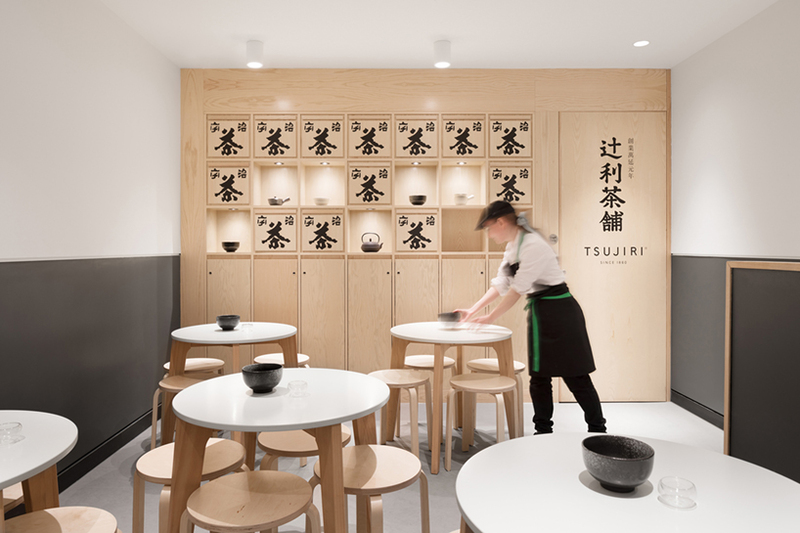 london-based mimstudios’ design of japanese tea brand tsujiri’s new london shop aims for a sense of simplicity through the use of large uninterrupted surfaces and draws inspiration from traditional japanese art and architecture. 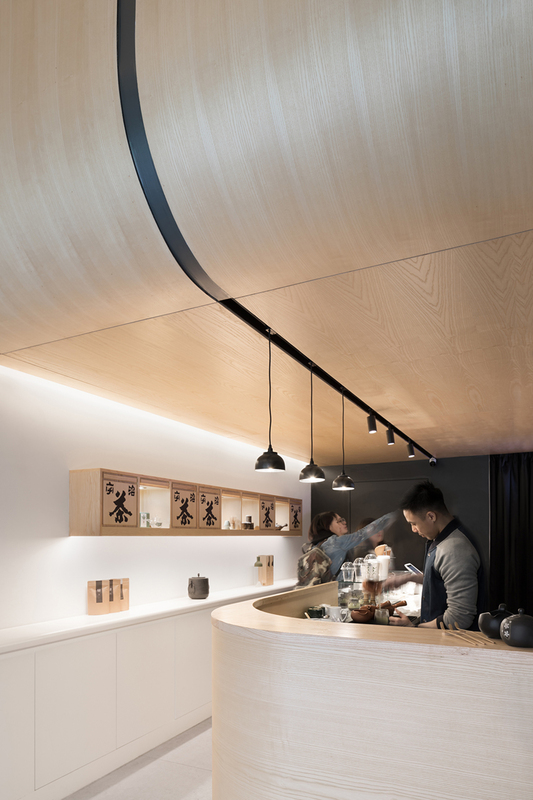 detail and intricacy come through the materiality of these surfaces as in the grains of the timber ceiling and stone countertop. 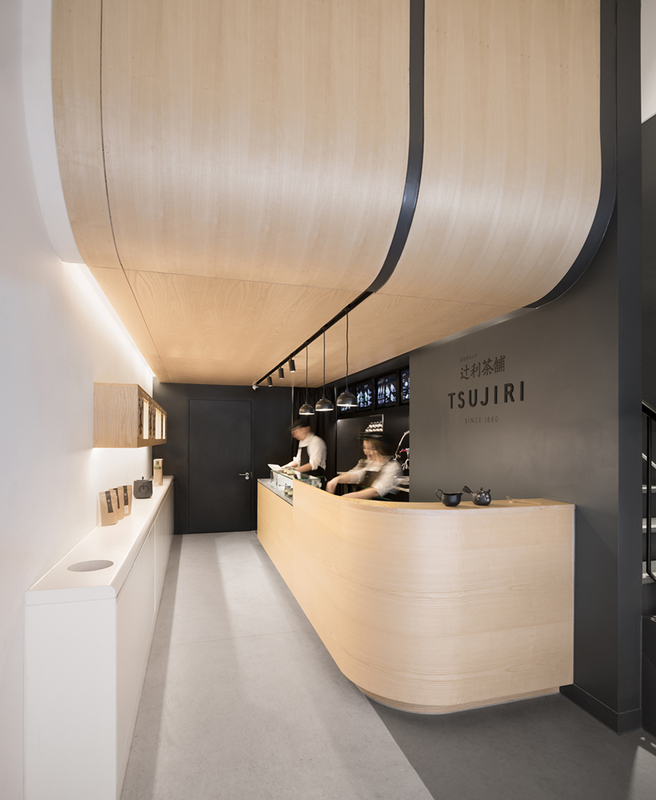 upon entry, visitors are guided straight under the curving timber ceiling where they can place their orders. 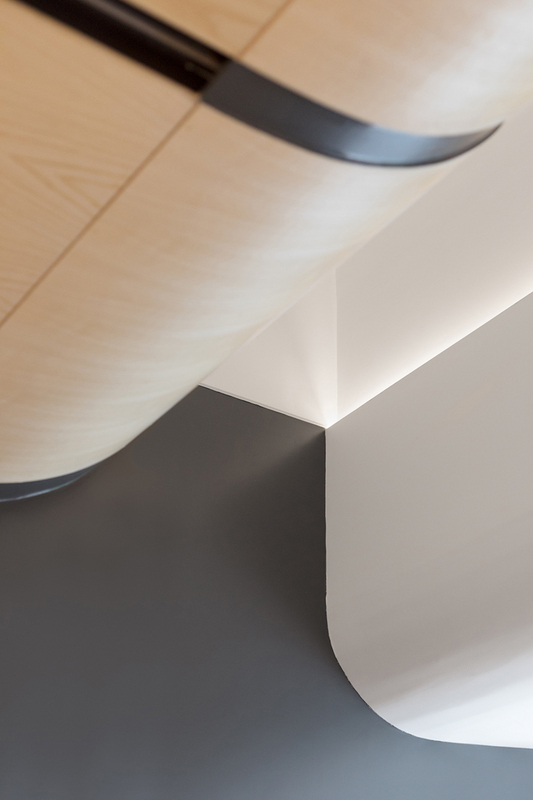 the curved service counter then directs them back towards the seating area at the shop front. 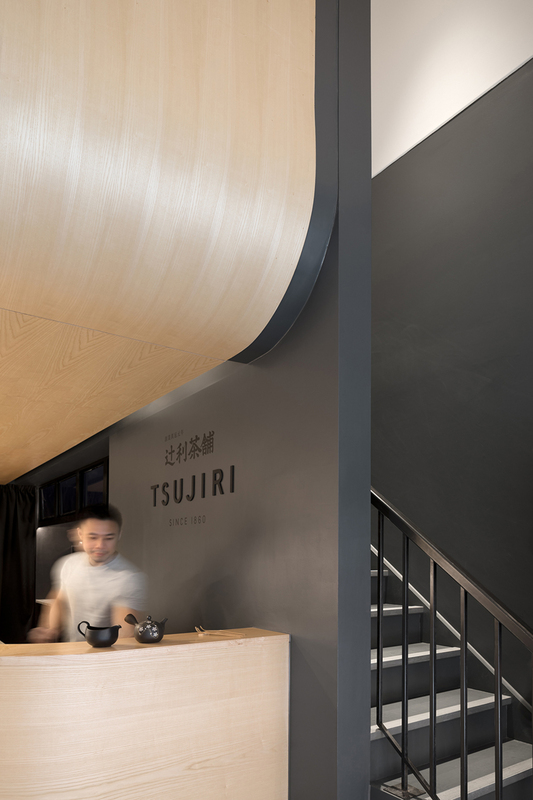 also here, tucked behind the counter, is the staircase leading up to the mezzanine level where mimstudios designed an additional seating area. 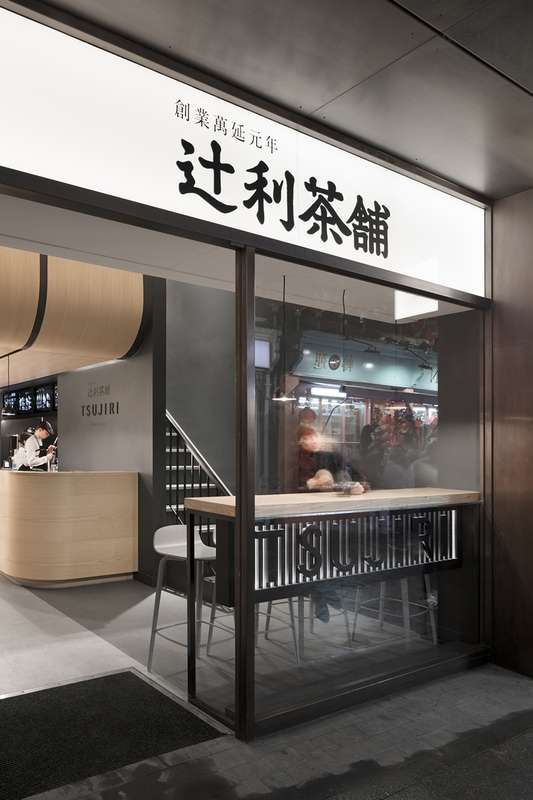 contrasting shades of grey applied in large swaths onto the walls and to the floor clearly delineate areas of service and rest. 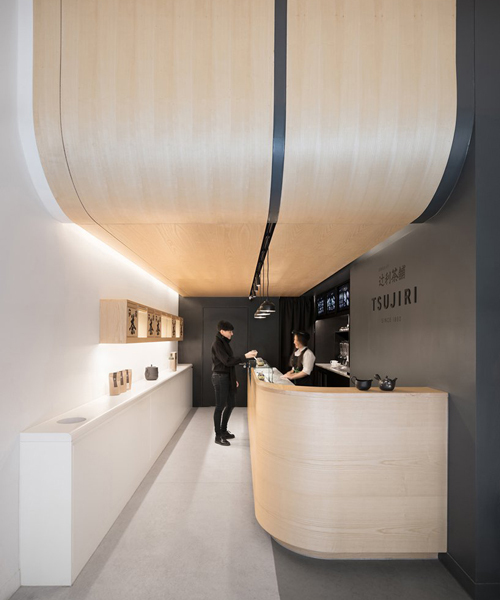 curved elements in the interior resonate with the existing shop front design and canopy creating a cohesive overall reading. the softness these geometries bring into the space is reinforced with the warmth of the timber and the indirect lighting they receive, creating a cozy and serene atmosphere amongst the bustling chinatown street the new shop is located on.